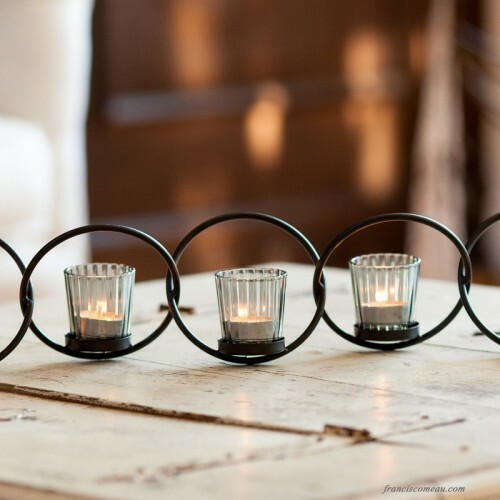 There’s nothing quite like the romantic glow of candlelight to create mood-setting ambiance for an occasion. 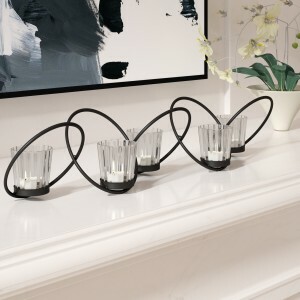 With this six-piece votive holder set, you can show off the flicker of your favorite candles in modern sculptural style. Crafted of tubular metal in a matte black finish, the frame is composed of five interlocking rings slanted in alternating directions. 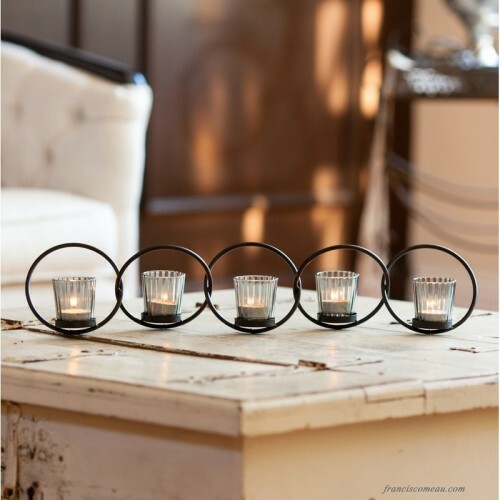 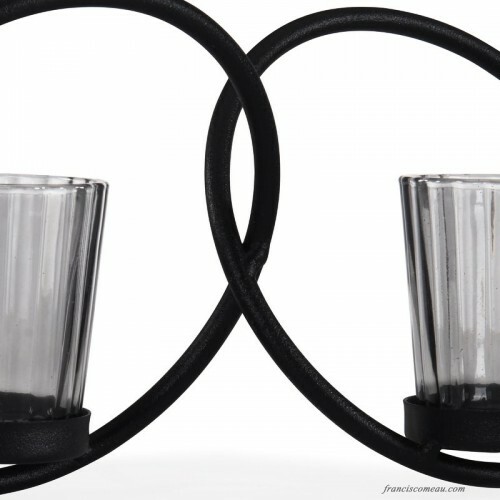 Within each ring, a removeable cup-shaped smoked ridged glass votive and a round, lipped drip tray accommodates your preferred traditional or flameless LED tealights or votive candles.